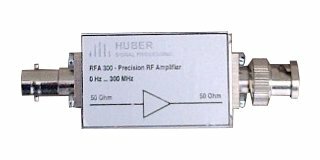 The Precision RF Amplifier RFA 300 amplifies signals in a wide frequency range with a very low ripple. In this device category it has got an outstanding signal amplitude and processes True-DC signals. Buy this product simply and quickly via our webshop.